"Since the turn of the century, Traditional Rioja has undergone an incredible renaissance in the hearts and minds of American wine lovers. Having sold these wines since the early days of our company, we were able to witness the glorious transformation from a category of total obscurity to a true object of devotion among the wine cognoscenti. Today, however, the problem is the relative scarcity of Bodegas who produce Rioja in the traditional way. If you stretch, there are maybe 10 or 12? And when it comes down to it, of those, there are really only a handful who are firmly committed to the 'old school' tenets of Traditional Rioja. This includes long aging in mostly neutral American oak, regular open-air racking by hand (called trasiego), and then further aging in bottle often well beyond the specifications required by the DO. Fortunately, Bodegas Hermanos de Peciña is firmly planted in the old school camp. Although the estate was started only in 1992, its founder, Pedro Peciña had worked for over 20 years prior to that as the head agronomist for La Rioja Alta, learning all facets of production and especially the planting and managing of all the estate's vineyards. 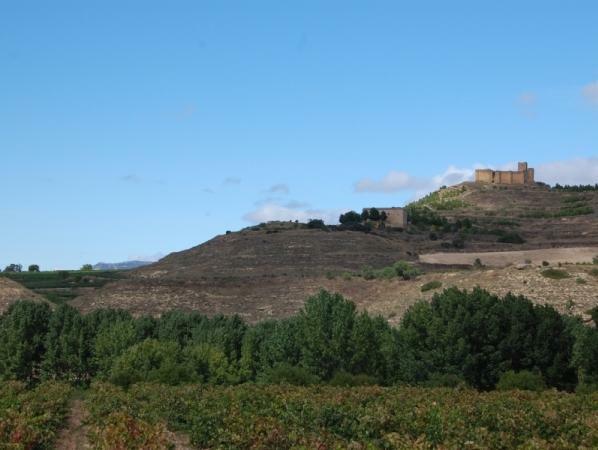 The Peciña winery and vineyards are located in San Vicente, which while technically in the Rioja Alta sub-zone, is not in the vicinity of Haro where most of the other traditional Rioja houses have their cellars. Rather it is located on the northeast side of the Ebro river near the border of the Basque Alavesa zone. These vineyards - many 40 to 60 years old - are actually some of the finest in the appellation as they fall at the foothills of the Sierra Cantabria Mountains at an average of 500 meters, and offer hillside expositions as well as complex and diverse soils. Many of Peciña's most prized vineyards are actually on north facing slopes which Pedro feels helps give the wines good freshness and delineation. The range of wines starts with a lovely Rioja Blanco made from Viura. It is fermented on its skins for 24 hours to give it extra body and texture, and released after a minimum of one year in bottle, and sometimes longer, so that it begins to show some additional complexity. For the reds, the offering starts with an enticing Cosecha, aged for 6 months in tank. It is a delightful and fresh wine with beautiful spicy Tempranillo fruit. The Crianza then ups the ante. It is a wonderfully complex 'little' traditional Rioja, with notes of cedar and tobacco. The next level is the classic Reserva, brimming with dried cherries, earth, and that old Rioja spicebox. In exceptional vintages, they also make a wine called Vendimia Seleccionada, which is a selection of the best parcels aged for an extended time in bottle, and is more like a Gran Reserva in its stature and complexity. And lastly, there is the Gran Reserva itself, from their oldest vines and only in great years. It is nothing short of a triumph of classic Traditional Rioja, with a potpourri of dried fruits and flowers, tea, cocoa, and haunting aromas of old antique furniture. Like all the Peciña wines, there is a hallmark tensile quality that comes from a beautiful core of acidity. Quite remarkable indeed!"